The weather has been glorious this weekend and I have definitely been making the most of it by getting my legs out in some pretty summer dresses! If you choose to remove your body hair, you'll want to check out this beautiful Gift Box from Friction Free Shaving for the smoothest shave of your life! 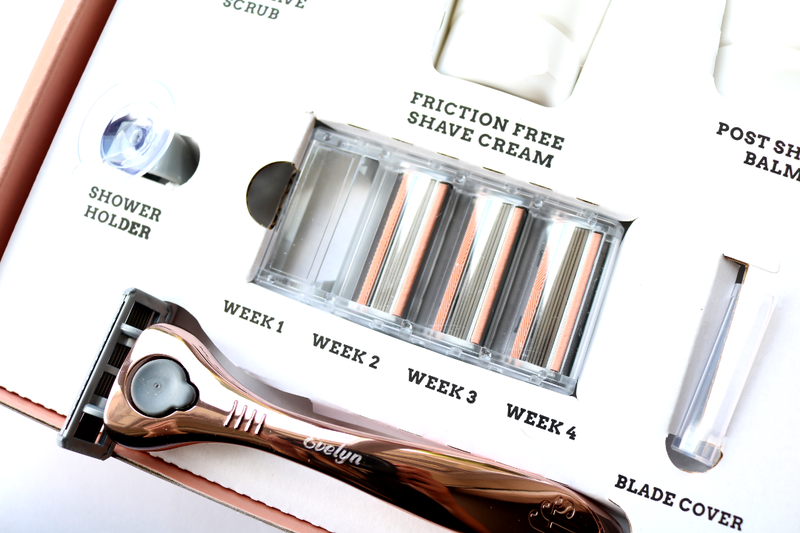 Friction Free Shaving have become well known for their subscription boxes, which deliver high-quality razors, refills and shaving products direct to your door, operating as the world's first and only shaving club that's exclusively for women. In the first box, you'll receive the razor of your choice (which can be engraved with your name for an extra £5), a set of refills and the option to add full-size shaving products if desired. In the months that follow, you'll be sent a fresh set of refills so that you can say goodbye once and for all to dull, dirty blades and hello to a silky smooth shave every time! Plus ditching disposable razors and only buying refills is much better for the environment and your wallet. FFS also have one-off gift boxes available to purchase, and I was very kindly sent one of these last month to review. 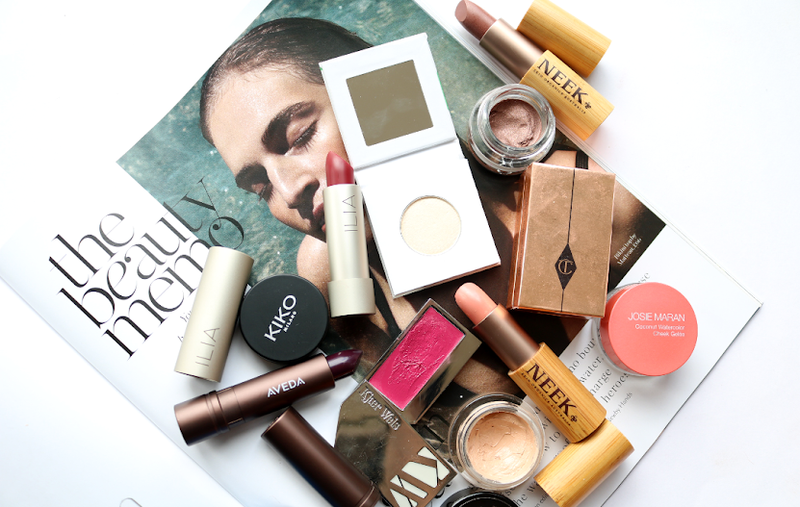 It contains everything that you could possibly need and is a fantastic introduction to the brand. 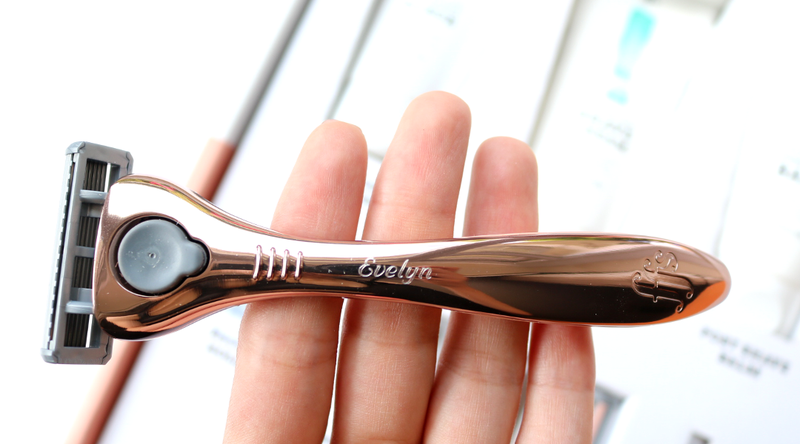 When I opened the box, I let out an excited squeal because not only is the razor ROSE GOLD (aka the best colour EVER), but it also had my name engraved on it and everyone knows that personalised products are the fastest way to impress someone when you're sending them a gift. This engraving is a free service as part of the gift box too - win win! The razor itself is the best quality razor that I've ever had the pleasure of using. 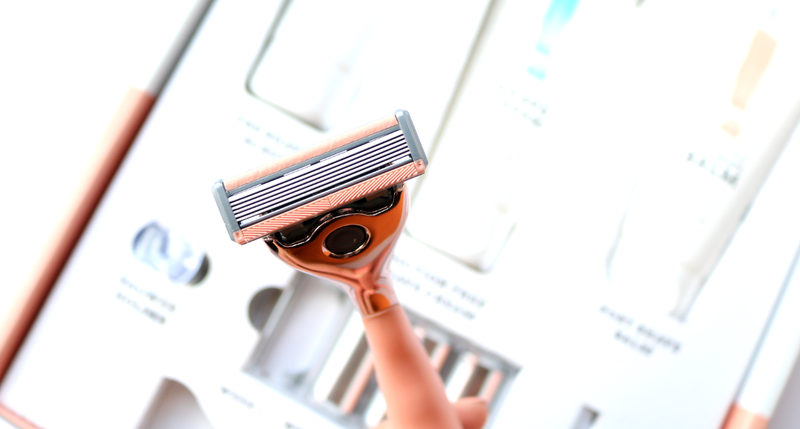 It's the world's first metal razor which has been specially designed for women and features a full 90 degrees pivot head to fit the natural curves of a woman's body. The handle is also weighted and has a rubberised grip underneath so it feels sturdy and comfortable to hold. And that gorgeous rose gold colour? It's not only pretty to look at - it's chrome plated to prevent rust meaning that your razor will stay happy in the shower and looking its best for longer. But it's not just the razor handle that's impressive. The refillable German-engineered blade heads consist of a lubricated Vitamin E strip and six stainless steel blades which are diamond coated to give you the closest shave imaginable. 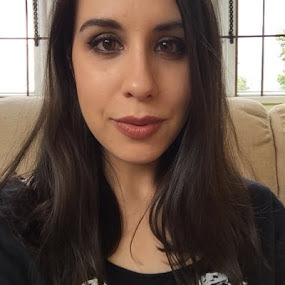 I'm used to using razors that have three or four blades, and using one that has SIX really does make a massive difference (and I'm sure the sheer quality of the blades that FFS use also add significantly to its overall performance). These blades glide effortlessly across the skin and they whip off every hair that they come into contact with, even those tricky shorter ones that other cheaper or disposable razors might miss. 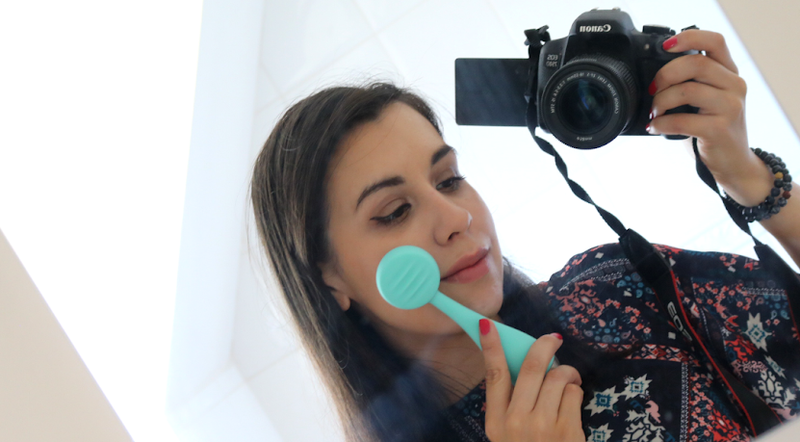 Flip the head to the top side, and you'll find a clever inbuilt bikini styling blade which is perfect for tidying up the bikini line and eliminating any strays - very handy to travel with! Pre Shave Scrub (100ml) - A gentle exfoliator which is made with tiny pieces of Walnut husks to get rid of any ingrown hairs and prevent any annoying razor bumps. I always find that exfoliating before shaving is a key step to prepping the skin and definitely shouldn't be skipped. Shave Cream (100ml) - An award-winning Shave Cream that's packed full of moisturising ingredients such as Manuka Honey, Shea Butter and Coconut Oil. I loved using this and it complements the razor so well without it getting continually clogged. Post Shave Balm (100ml) - Finish off your shaving routine with an ultra-soothing and hydrating Post Shave Balm which will instantly calm any irritation and leave your legs feeling in the best shape possible. 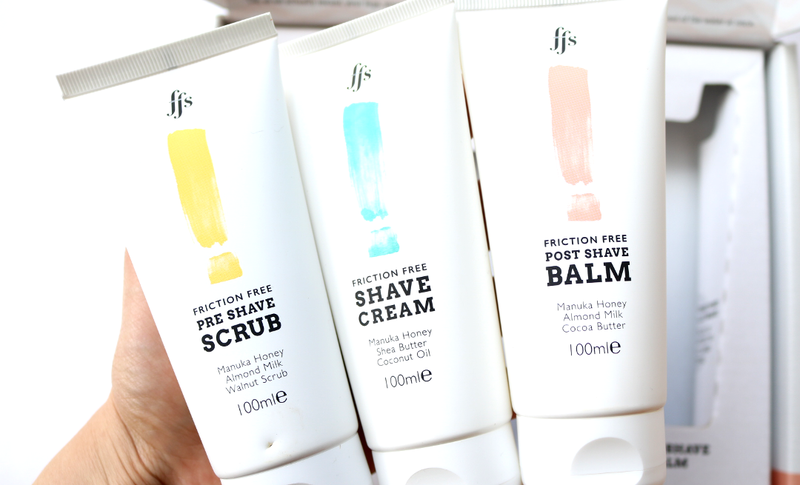 Have you tried Friction Free Shaving?